Although no transport is required when you get to Kisakallio, find below information about getting to Helsinki and up to the venue. All international and domestic flights land at Helsinki-Vantaa International Airport which is located in Vantaa, 18 kilometers to the north of the central Helsinki. Regional buses 615/620 (€5.00, every 15 min), 30-40 min to the Helsinki Central Railway Station in the heart of Helsinki. Both buses leave from platform 2 at terminal T1 and platform 21 at terminal T2. Tickets can be bought from the driver. To get to Helsinki city center from the airport you need to buy a regional ticket, because the airport is actually not located in Helsinki, but the neighboring city of Vantaa. For more information go to the HSL (Helsingin seudun liikenne - Helsinki Region Transport) airport information site at . Other options to Helsinki City Centre include the Finnair City Bus (€6.30, every 20 min), which takes about 35 min to the Central Railway Station via Scandic Continental Hotel. 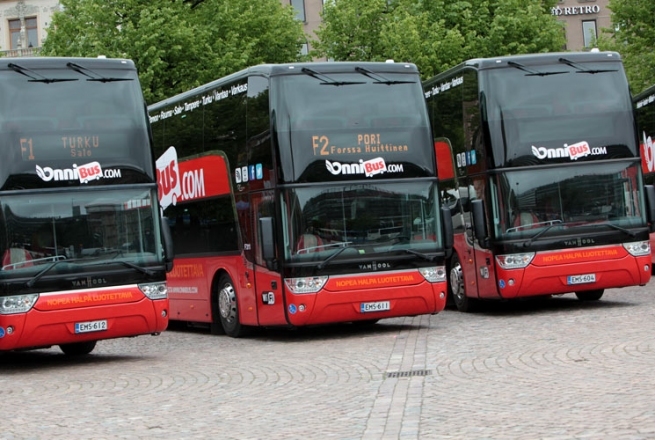 Credit cards are accepted and this bus is slightly faster and uses luxury coaches. Vantaa bus 61 to Tikkurila (€3), connections to the center and eastern parts of Vantaa and access to the closest railway station for intercity and regional train connections. All north and east-bound trains stop here (Tikkurila Station). Vantaa bus 51 to Hämeenkylä (€3, every 30 min), connections to western Vantaa: suburbs of Myyrmäki, Martinlaakso and Hämeenkylä. Regional U-line bus 540 to Espoo (€5), for connections to the suburbs of Leppävaara, Nihtisilta, and Espoonkeskus in Espoo. Regional buses 514/535 to Espoo (€5), for connections to the suburbs of Leppävaara, Westend, Tapiola and Espoonkeskus in Espoo. Long-distance national and international buses terminate at the new underground Central Bus Station (Linja-autoasema) in the Kamppi Center (Kampin Keskus). The station is adjacent to Mannerheimintie, directly connected to the Kamppi metro station and within a short walking distance from the Central Railway Station. Onnibus buses to Tampere leave from the small curbside stop in front of the Kiasma art museum and the ones to Turku depart from the Kamppi long-distance bus terminal. 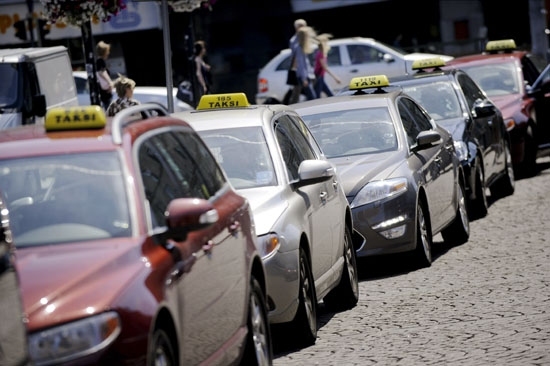 Cab fares are regulated by the government, and the taxi fares are reviewed yearly. Getting into any taxi gives you a starting charge of €5.90 on weekdays, or €9.00 after 8pm and all day Sunday. The metre ticks at €1.52/km. The rate increases if there are more than two passengers. There are also surcharges for large bags and leaving from Helsinki-Vantaa International Airport (€2). Generally baggage that is considered large enough to warrant an extra charge is baggage that won't fit in the trunk easily, without, for example, folding down the back seat. *A pre-order can be placed for a taxi maximum two weeks prior to the time the taxi is needed, and a minimum of a half an hour before. A pre-order fee of €7.00 will be added to the taxi fare.